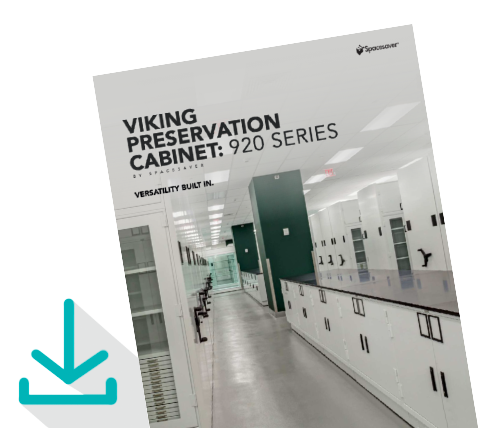 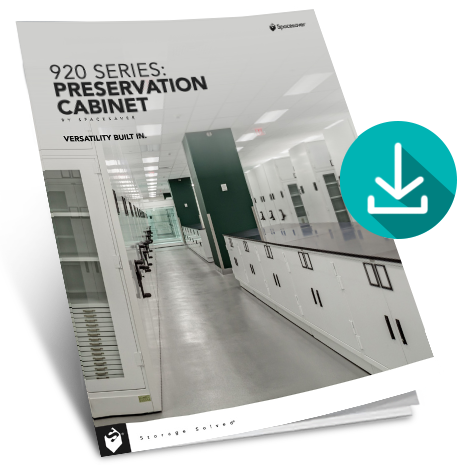 With a sturdy, modular exterior and removable interior panels, the new Viking Preservation Cabinet 920 Series helps create ideal preservation conditions in museums, archives, libraries, and other institutions. 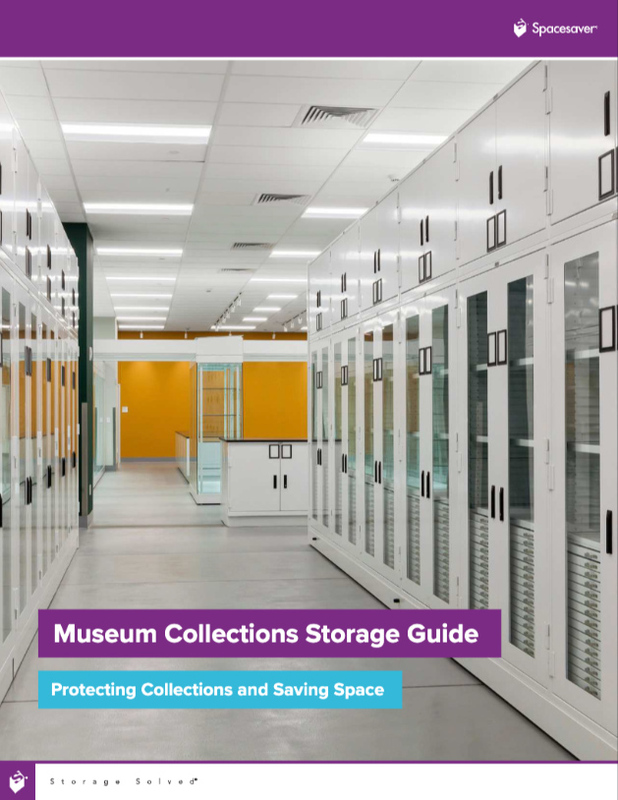 This museum collection storage cabinet is ideal for the long-term preservation of art collections, natural history collections, anthropology collections, and any other type of museum collection. 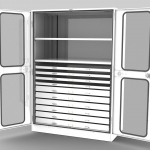 Learn more about how you can configured and reconfigured your cabinet to accommodate drawers, trays, shelves, and hanging rods. 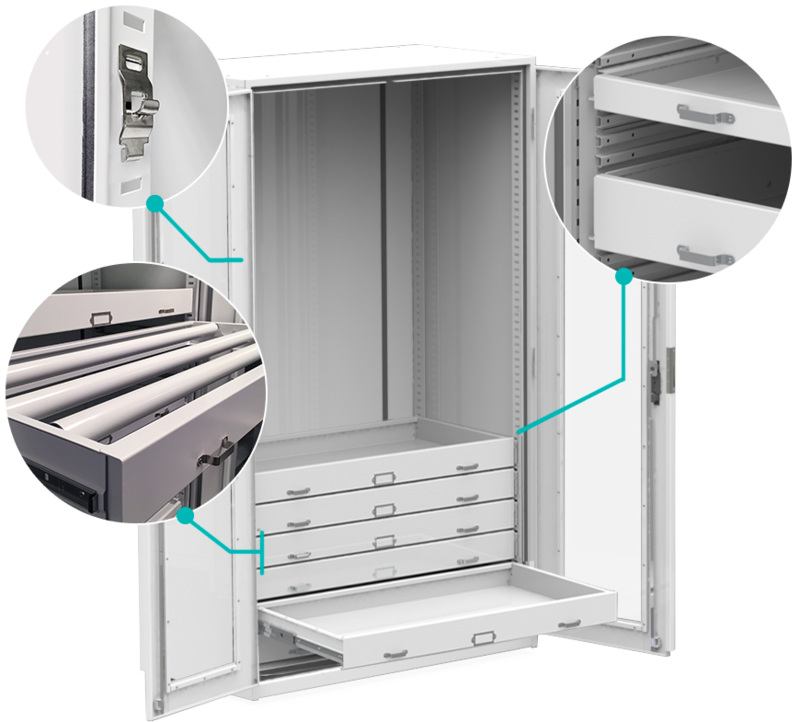 The new 920 museum collection storage cabinet can be configured and reconfigured to accommodate drawers, trays, shelves, and hanging rods. 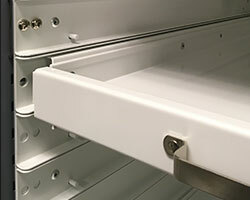 Learn more about updates to the Viking cabinets you’ve trusted for years. 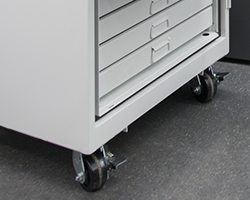 Removable panels create interiors that can be configured and reconfigured over time. 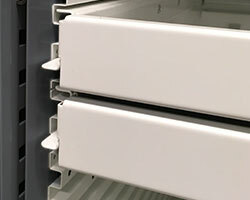 A cabinet that’s initially fitted with trays, for instance, can be converted to support drawers or shelves as collections grow. 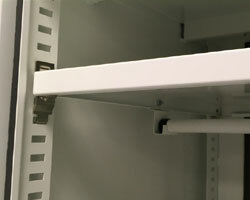 Accessories include a variety of drawers, trays, shelves, and hanging rods. 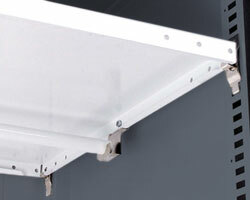 Viking has long been known for exceptional strength and sturdiness. 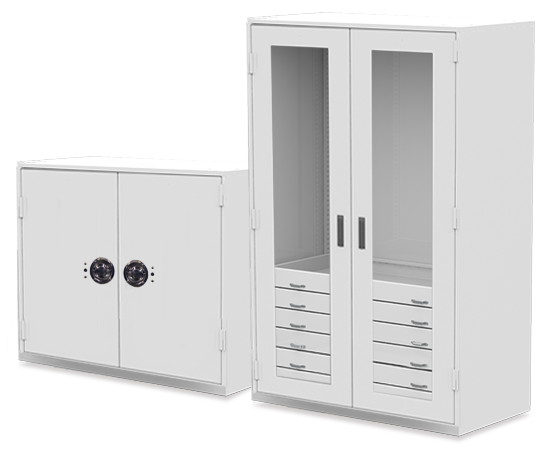 All our cabinets are manufactured in the USA of heavy-gauge steel with reinforced welded construction. 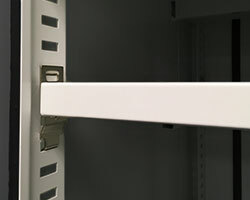 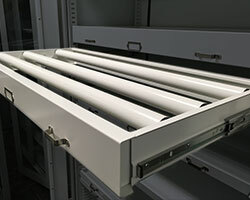 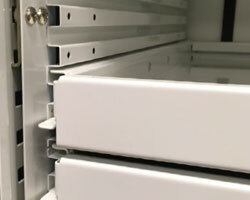 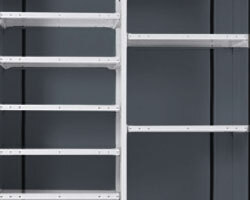 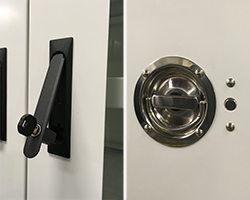 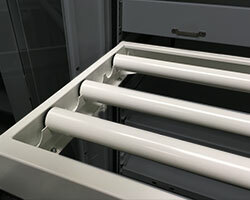 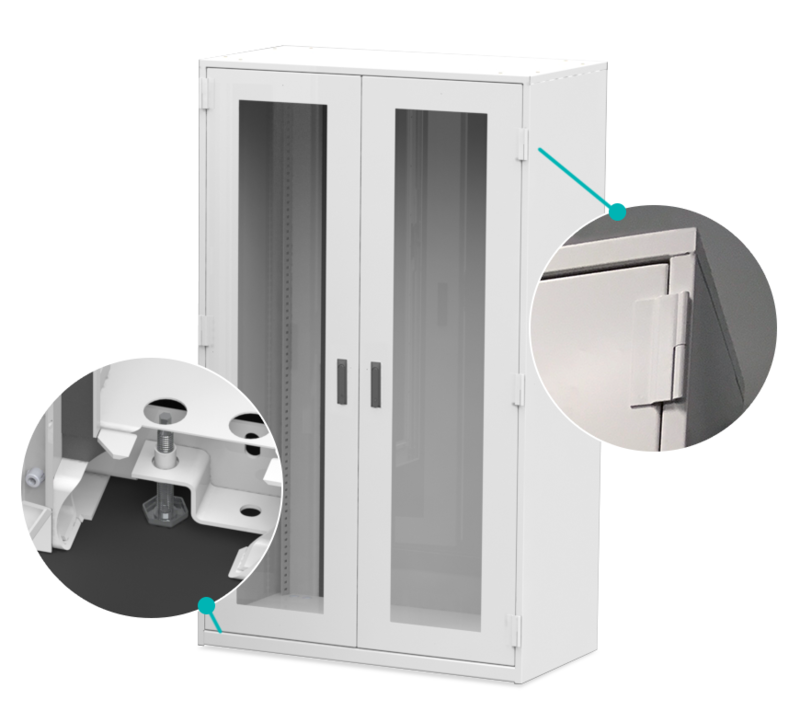 Closed-cell gaskets and our three-point latching system help ensure protection from dust and other contaminants, and the cabinets’ non-off-gassing powder-coat paint finish provides durability and a clean appearance. 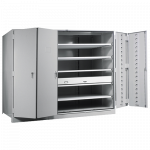 Viking cabinets are trusted to protect collections at prestigious institutions throughout North America and around the world. 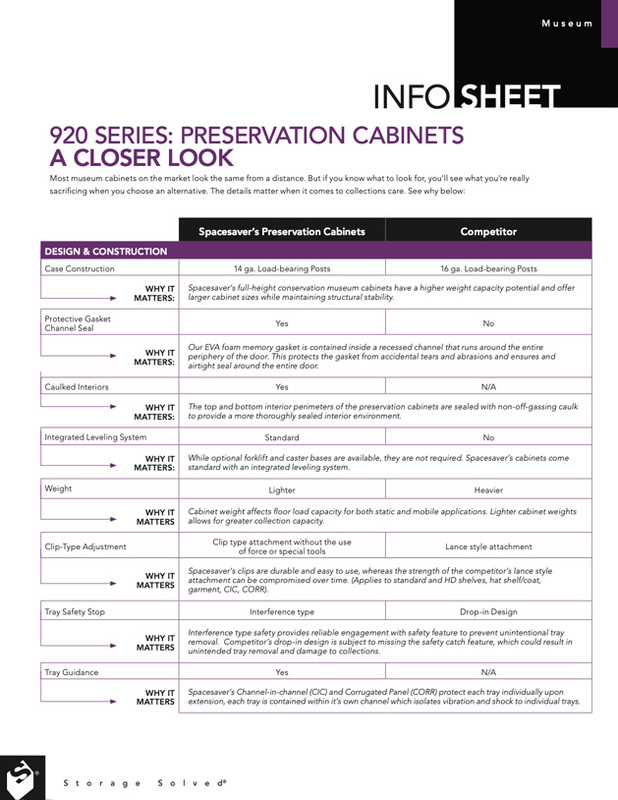 Download the Info Sheet for detailed information about cabinets sizes, weights, and available options and accessories. 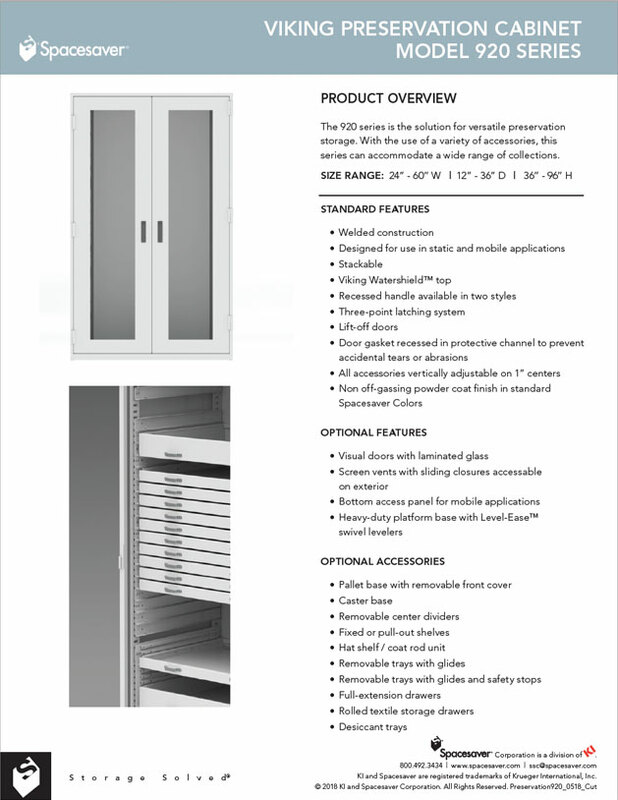 Or DOWNLOAD the product brochure for option details. 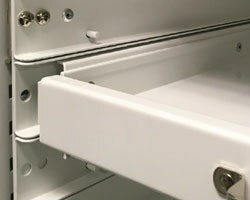 Or DOWNLOAD the product brochure for accessory details. 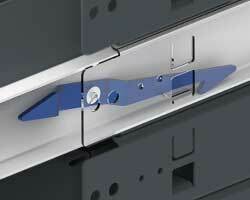 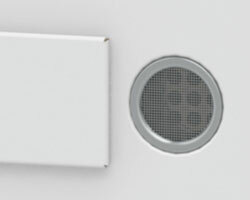 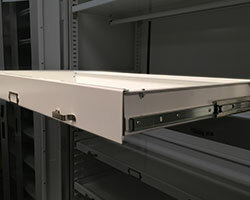 Dividers are available for all styles, and most accessories are available in full-width and half-width. 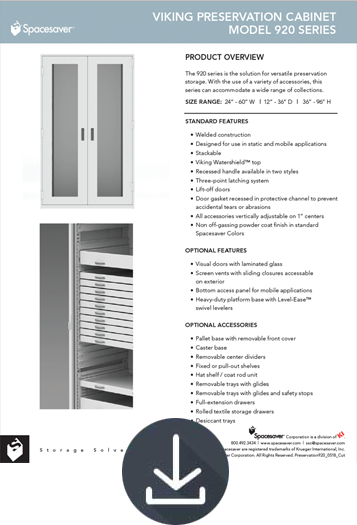 DOWNLOAD the product brochure for a detailed explanation of usage styles and accessories. 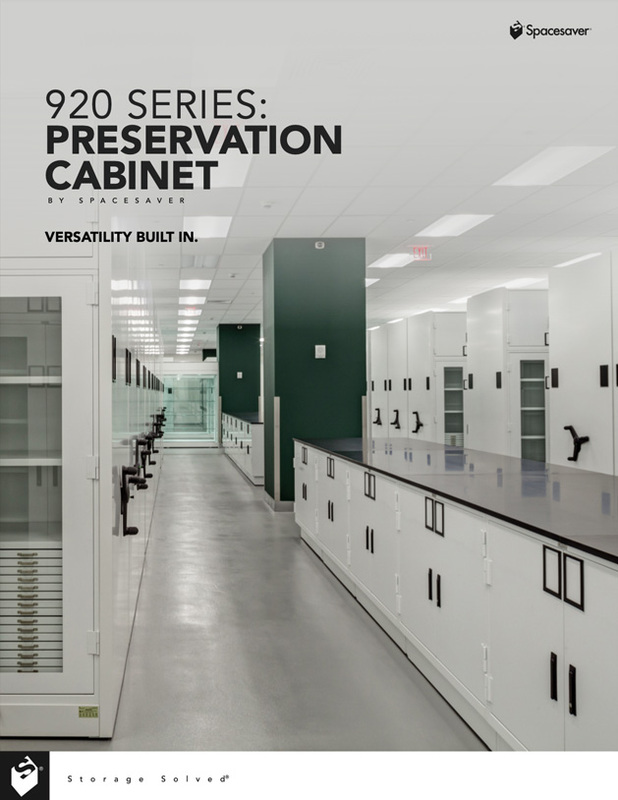 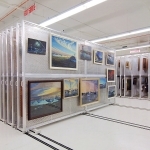 To learn more about the new 920 museum cabinets and our other museum storage products, contact us today to arrange a free on-site space assessment. 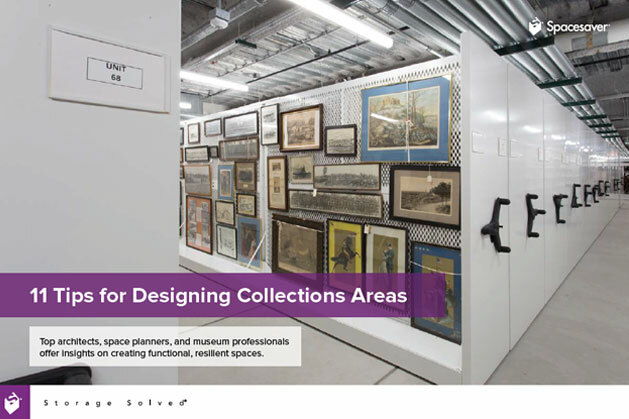 Your local Spacesaver museum consultant will carefully measure your available space, discuss your collections, and recommend solutions that will save space, maintain accessibility, and preserve your collections for generations to come.